And there’s lots of recipes for different ways to fix chicken, fish, and pork in healthy ways. At the beginning of the book, in chapter 2, is where you’ll find the Jump-Start Reboot Diet Plan. And that’s where you’ll find the five detox smoothies. The one I decided to make, the Orange Reboot, is supposed to be made on day 2 of the plan. It’s a lightly-sweet smoothie made with a blend of carrots, orange, and papaya, along with a few other very healthy ingredients. It’s also flavored with cinnamon, which gives the smoothie a nice spicy flavor. Considering I’m not that crazy about carrots, I thought the smoothie was pretty good. 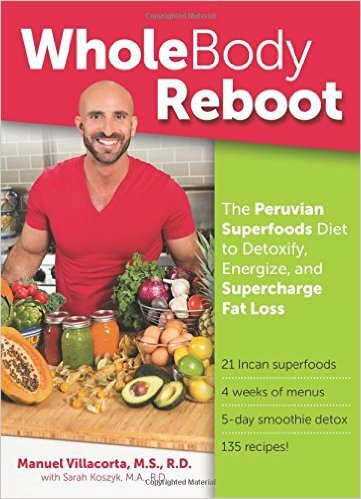 So if you want to give your body healthy reboot, you’ll have to check out the book. And here’s the Orange Reboot smoothie recipe if you want to try it out! Put all ingredients in a blender and puree until smooth. There are a total of 135 recipes in Whole Body Reboot and 4 weeks of menus. You might need to add some new ingredients to your pantry to make some of these recipes, like Lucuma and Pichuberries. It sounds like a very healthy way to eat. Have you ever tried a diet like this? This entry was posted in Beverages/Smoothies, Food and Recipes, Healthy Eating, Healthy Living, Reviews and tagged Carrot, Chia seeds, detox, orange, smoothie on August 25, 2015 by nancyc. This smoothie sounds delicious and a little different so like that too. I feel like I need a whole body reboot! 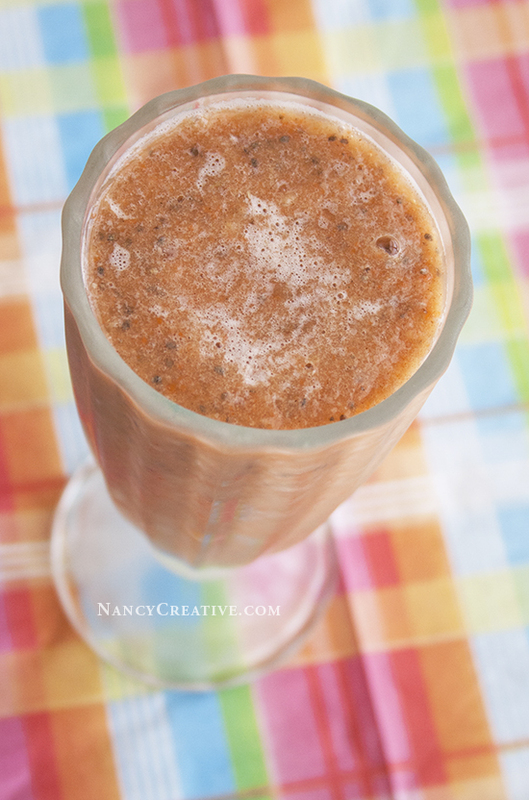 Hi Marijo–I haven’t tried the other recipes yet–some of the other smoothies call for one or two ingredients I don’t have–so I’ll have to check into getting those. Let me know the next time you come in and I’ll bring the book so you can look thru it! Such a refreshing and beautiful smoothie! I would be willing to try this! I have never had a smoothie with carrots in it, but I like the fact that it also has papaya and cinnamon. If it would help my memory and boost energy, that sounds like it would be worth it even if it didn’t taste good! 🙂 I’ve never heard of Peruvian superfoods. Sounds interesting! Looks like a wonderful cookbook Nancy, I’m a huge smoothie fan.